Our furry friends need love this time of year, so armed with £20 of gift vouchers I headed to pets at home to pick up some festive treats to brighten up there Christmas day. Children have them, Adults have them, so why not our loveable companions? 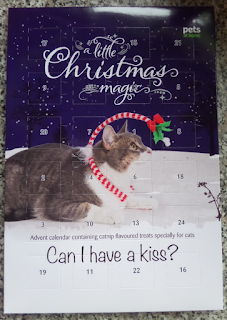 I picked up a perfect little calendar to share between my two cats. I did debate getting two but I'm sure they care share, after all Cerberus isn't a big treat eater unless its fresh fish from the supermarket fish counter - there both a bit spoiled. I didnt want to go over the top with treats for them as little piggy Ortherus trys to eat left over pizza, and Cerbie just isn't a food fan. With 24 catnip filled yummys I'm sure that they will enjoy being 'high' on the festivities. This was £2 from Pets at home. 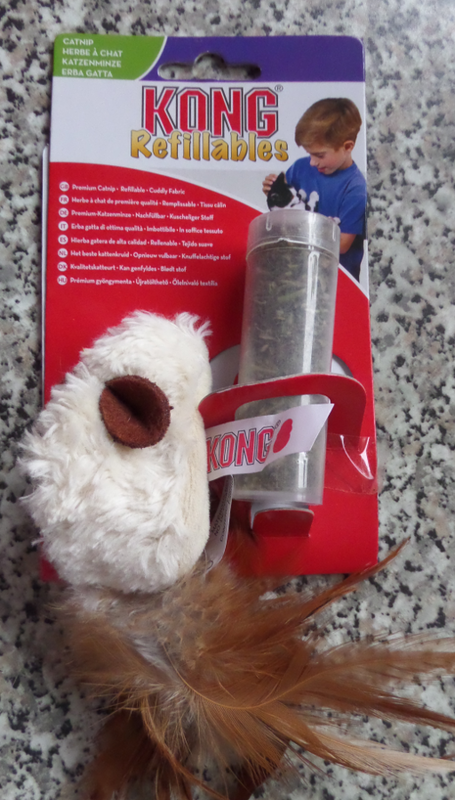 Thinking onto prezzie for the little darlings I decided to try out the Kong Re-fillable Catnip mouse. Cerberus is not one for toys, he prefers to steal the rubber ducks out the bat toy box and sit in the corner with them. 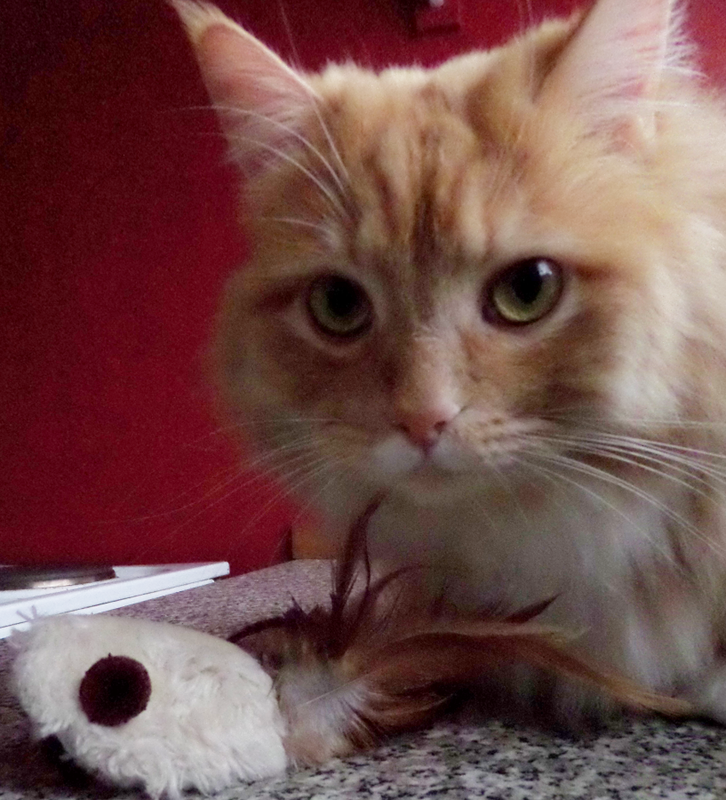 However I do know that he likes feathers as he previously destroyed a few toys that had them for tails. So if he doesn't take to it then this gift can go to Ortherus, because he adores teddy's. I really like the idea of having the catnip in the middle, I do like to watch my cat toys every so often -perks of toddler owning- so catnip in some of the other toys is now useless. But knowing I can pop some more into the toys a real plus for me. 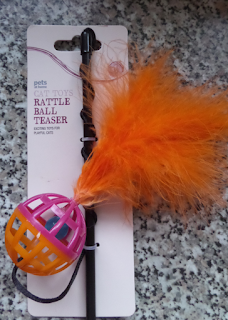 In the same section I came across this little Rattle Ball Teaser Cat toy for £2.50. I have a love hate relationship with these sorts of toys. Having previously bought one which had three metallic fish, my views on these toys are quite low. I was forever untangling the fish so the cats could play, so it landed up in the bin. But with Ortherus still semi-kitten I thought I would give it another go. He loves anything that moves, and will happily chase a bit of string my daughter drags on the floor, so I'm looking forward to seeing his reaction to this toy. 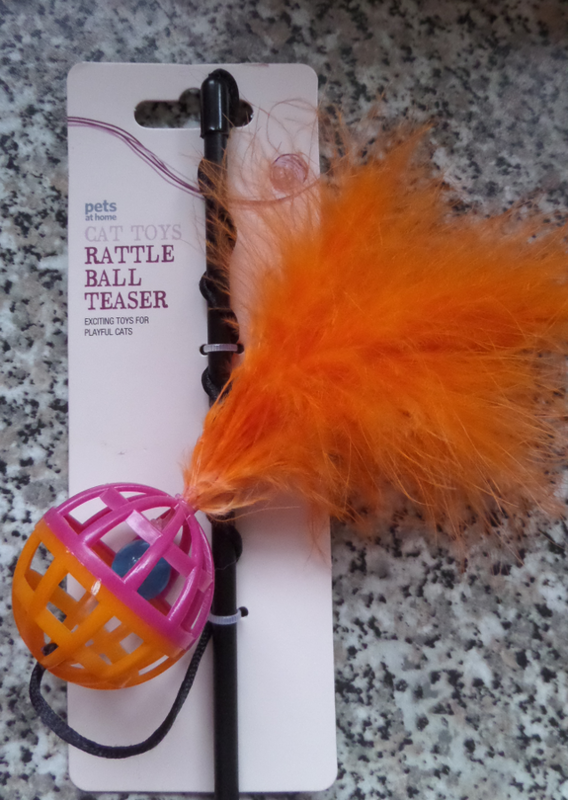 With the bright feathers at the bottom I have a feeling Mr Cerberus will also be joining in on the play time. With £8.50 down and £11.50 to go I was starting to struggle with ideas. The flats already littered with cat toys which my little girl prefers, and the cats go for her toys. So I wasn't sure what to get. After all what does a cat really need? The answer: Catnip bubbles. Yes you read that right, catnip bubbles. I just could not wait to get home and try it out on them. I'm sure they didn't mind an early Xmas prezzie. I was a little disappointed at the lack of bubbles it made if I'm honest. The solution was watery but when it did work they both were popping them with there nose and little Ortherus swiping at them in the air. They seemed thrilled by the bubbles, which made it a good product, even if it was a bit disappointing for humans. It wasn't overly expensive at £2.99 so at the end of the day not a huge loss, and defiantly more fun than the usual sprinkling of leaves that then need hovered. They landed on the floor waiting to be popped by the cats and didn't leave any visible residue. The product on there website can be found here. Whilst there my heart did melt on a small adorable white Russian hamster who was up for adoption under the name of 'Barry White', had I not had my toddler with me I wouldn't have thought twice about taking him home with me. I'm not very good when it comes to animals needing adopted. If you read my last pet post about my cats you will know both Cerberus and Ortherus are adopted too. I hate seeing animals in there waiting for the second chance at a forever home. It wouldn't have been fair on him to take him home and be swiped at by the cats though. The fish are a target as it is, with Ortherus already have made 2 attempts and one successful of swimming with them. At least out of that situation the fish did get a reward of a much larger tank with a solid wooden lid. 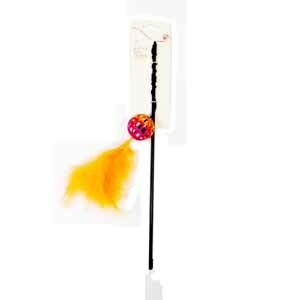 So turning my back to the ideas of getting more for the cats, who will probably have just as much fun chasing around the wrapping paper, I thought I would spend the remaining money on my fish. I landed up walking away with three white granite caves which where on a 3 for 2 deal at £6 each. My weather loaches are enjoying them and using small stones I previously had, they have a lovely big area in there tank to hide away. What will you be getting your pets for Christmas? or have you already bought it? I always buy my cat and dog pressies at Christmas time, although Alfie (my Labrador) usually destroys them all on Christmas Day and Molly (my cat) is more interested in playing with the wrapping paper. Oh please do, i love when animals get spoilled. I loved buying my pets christmas presents, and they always had a stocking each full of lovely little bits. I find with my pets that the cheaper the better, as they break everything within the first day and then carry around what's left proudly for weeks afterwards. 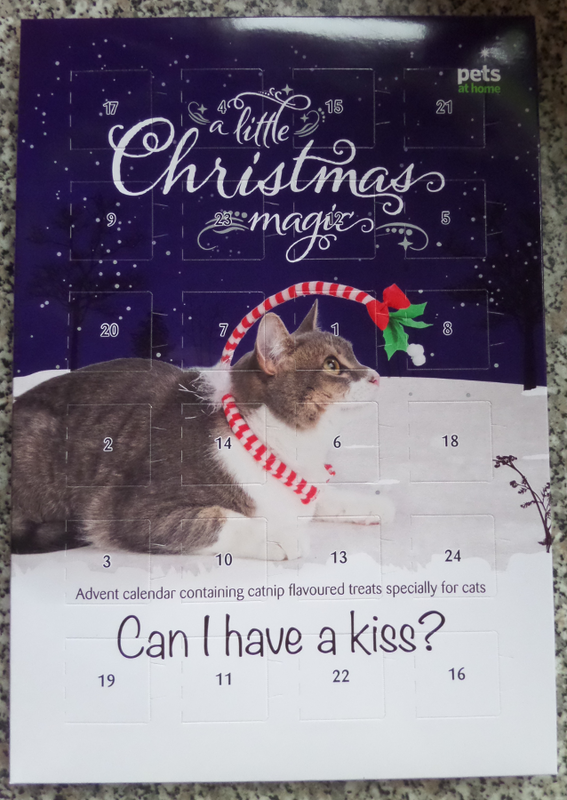 That advent calendar is great! I might need to get one for mine! We alway spoil our husky at Xmas and his birthday of course. Because he was born in December he gets a few new toys for his birthday and there is always a bone under the Xmas tree for him on the day!